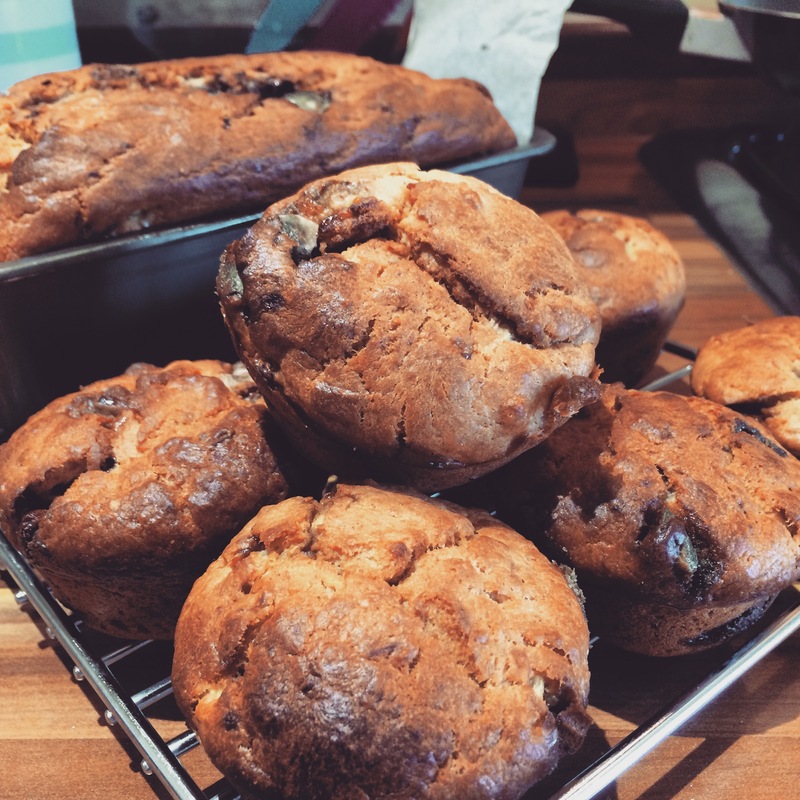 Banana bread is fast becoming a favourite in our household, especially as someone (who shall remain nameless for the time being) absolutely craves it the morning after a heavy night of drinking. We love it as it’s easy to make, always a favourite and you can easily make little changes to make it with whatever you have in or crave, whether it be additional fresh apricot, pecans or chocolate – in our case left-over minstrels from a cinema trip. We like to make enough for a loaf and a handful of muffins, so that should it last beyond the weekend, you can easily take one of the muffins to work without any of the effort of cutting. Pre-heat the oven to 180ºC. Grease and line a bread tin with greaseproof paper and also grease a muffin tray. You’ll find you have more than enough mixture for the tin and the muffin tins are an easy way to use it up, a perfect portion size! 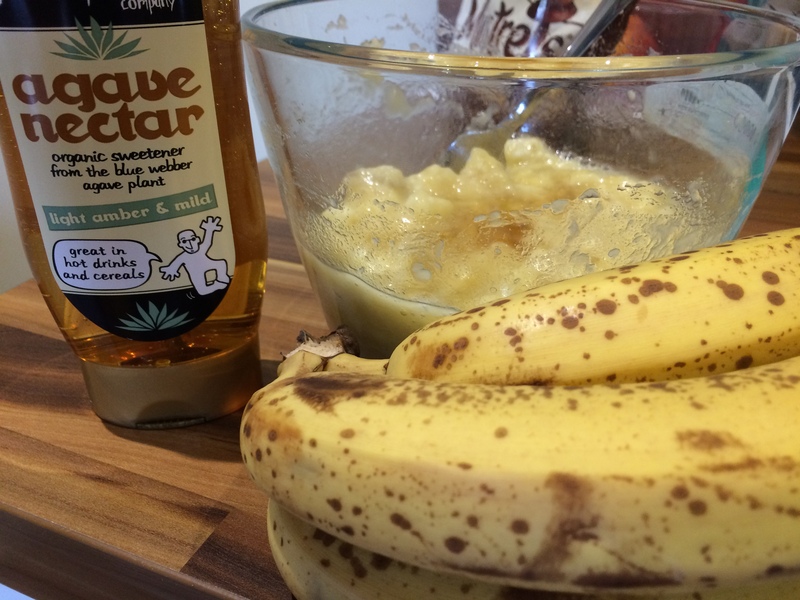 Mash the bananas in a bowl with a fork then mix in the agave syrup. 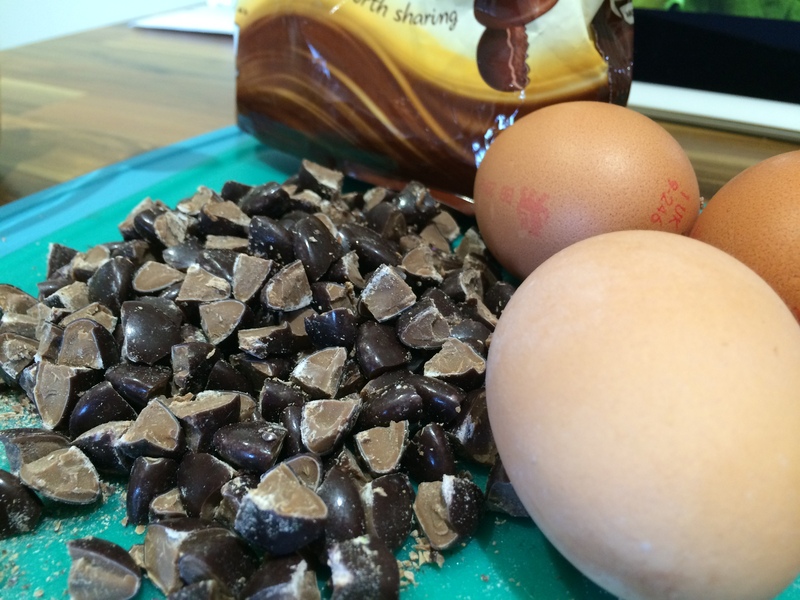 Cut up your chocolate into small pieces, so for Minstrels cut into quarters. In a large bowl, beat the butter with the flour, cinnamon and eggs – adding one at a time, so the mixture doesn’t split. Fold in the banana mixture and chocolate and transfer to the bread tin and muffin tin. Leave to cool for 10 minutes before transferring to a wire rack to leave to cool properly. Serve the first slice slightly warm with a cup of tea.